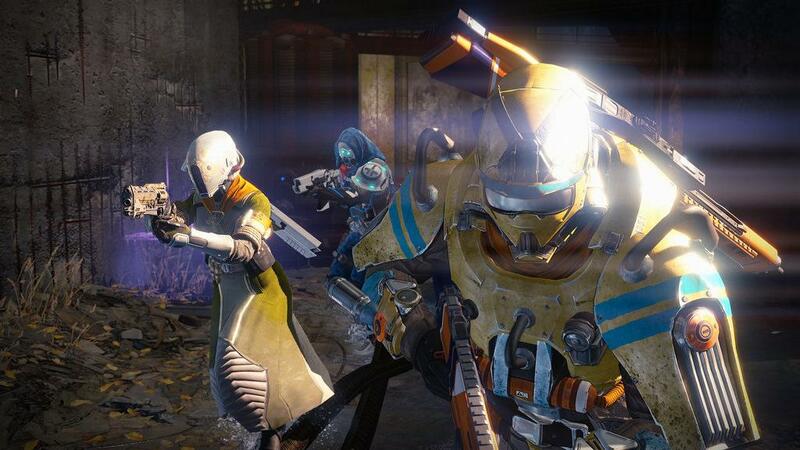 Destiny was easily the biggest game of last year, storming onto the scene as Bungie’s first non-Halo game since 2001. The game had its ups and downs, but no one could argue with the sales and there seemed to be a dedicated fanbase that stuck with the game long after its launch, supporting the two planned expansions. 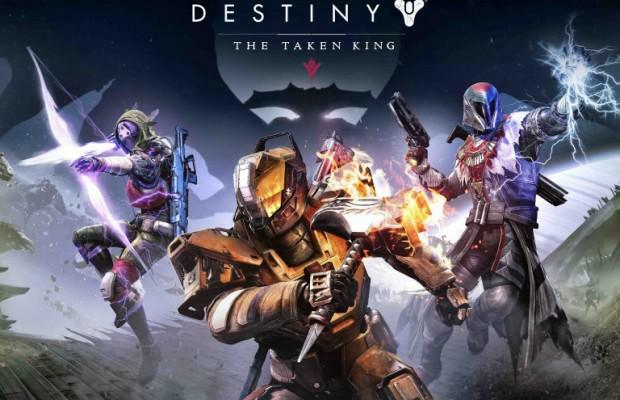 About nine months after release, Destiny took to the E3 stage for the third year in a row to talk about the first expansion not bundled in the game’s season pass, The Taken King. 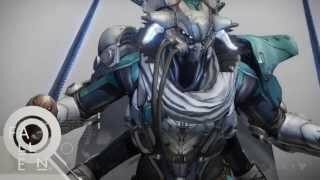 In Destiny’s expansion The Dark Below, guardians traveled to the moon and killed Crota, the son of Oryx, who is a galaxy travelling entity called The Taken King. Upon hearing the news of his son’s death, Oryx has come to find the killer (you) and apparently is none too pleased about the situation. I got to meet this Oryx when I went hands on with the expansion at this year’s E3. Obviously, I wasn’t able to load up my own Destiny character, but Bungie had three pre-made options ready for me. As I had a Warlock main during my time with the game, I hopped into this old familiar class. For those that haven’t been keeping up with Destiny since launch, I asked if players would be able to jump into The Taken King or if they would be forced to play through The Dark Below and House of Wolves first. I wasn’t able to get an answer from the Bungie representatives, but they said they would comment on that soon. The mission begins with my character wandering through the pale dirt and rocky cliffs of the moon. Something has killed a large number of the Fallen and I have been sent to investigate. Much like the other pieces of Destiny DLC, Peter Dinklage's services have not been requested and your Ghost is a silent helper. Players' feelings towards his voice acting have always been mixed at best, so perhaps this isn’t a surprise. I enter a large fortress, though there are plenty of dead Fallen around, I find no living enemies. I have two people speaking to me over radio, and one is starting to freak out, speaking in disjointed sentences about evils and vengeance. This is all part of the Bungie pacing I enjoyed in Destiny. Long experienced in the first-person shooter design, Bungie is great at creating mystery through setting and ramping up the tension through external means. I can feel myself getting nervous, my enemies must be around the next corner. After traveling through a series of halls I arrive in an open arena. It is here that I come face-to-face with the Taken King. A hologram of his large mug appears in the center of the room and he accuses me of killing his son. No sooner is he finished than his minions are summoned and I find myself in the tropes of Destiny’s familiar shooter design. I’m strafing back and forth, circling around the room and attempting to stay one step ahead of my enemies. These bad guys look like the regular Fallen, but their names are prefixed with the word Taken. Taken Knights are shooting at me, Taken Centurions are leaping around after me, and in the center of the room is the boss that Oryx has sent to finish me off. I try to keep my enemies in front of me; when my health gets low, I retreat to abandoned corridors and hidden spots where I can let it recharge. Eventually, I am able to bottleneck the enemies and trigger my Super Charge, unleashing an electrical spell which wipes out the Knights and Centurions. With these guys taken care of, it’s just me and the boss. To handle the big guy, I keep a piece of cover between us and simply keep popping out from either side, doing damage until he notices me and sends flurry of projectiles my direction. Once he’s on to me, I duck back behind cover then pop out on the other end and start shooting him again. 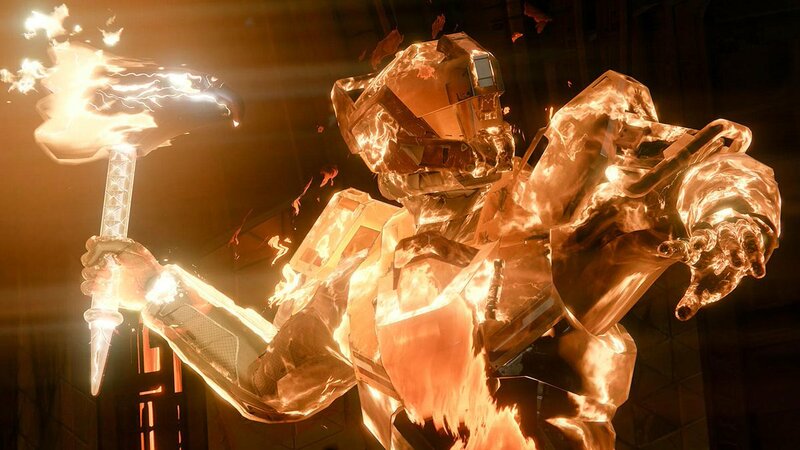 While I like much of Destiny’s design, these firefights seem reminiscent about what got old in the game to begin with. I don’t feel like the game is pushing me to do anything all that creative, but just relies on the same old tactics that are tried and true in Bungie’s battle arenas. Soon the boss is defeated and the two contacts communicating to me are urging me to get out of the fortress. The regular Fallen have arrived and they are battling the Taken who are in the fortress. When I encounter these firefights, I usually hang back and let them take each other out before hopping in and finishing off the stragglers. The music is much less classical than McDonnell's original score for Destiny; it lacks the interesting arrangements and complex counter melodies. There are a lot more synthesized sounds, leaning more heavily on the sci-fi aesthetic than the original soundtrack. There’s almost a dub-step quality to it that, while somewhat working for the setting, is strikingly different from what I’ve come to expect from Destiny’s aural qualities. With the both the Fallen and the Taken vanquished, I hurry out of the base and extract to my ship. When I turn back to look at the fortress, I can see a large dropship coming with more Taken soldiers who enter the fortress. The drop ship fires at the fortress taking out any remaining Fallen. One of the people talking to me ominously warns that the Taken King has come. The Taken King expansion adds some new elements to Destiny. There are three subclasses that bring new special attacks, more weapons and armor to further customize your guardian, new raid missions, and - most importantly - new campaigns which offer a different setting. I noticed a lot of reused assets during my time with The Taken King, but the promise of a mothership where you battle Oryx and his hoard sounds like it might boast something different than what we’ve seen from Destiny previously. 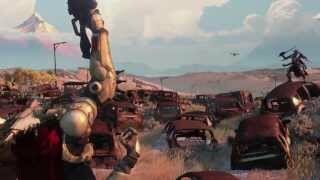 During my time with the game, I couldn’t help but note how much Destiny has changed since last year’s E3. How quickly it has gone from something new and exciting to another checkbox in the Activision list at E3. How the departure of the big names like Dinklage and McDonnell have changed the game’s presentation. These aren’t necessarily good or bad changes, but just aspects that stood out during my playthrough of the mission. It’s safe to say Bungie and Activision are planning to continue supporting Destiny for at least one more big expansion. If you’ve been hungrily devouring their DLC up to this point, The Taken King looks like it will be a significant addition to the growing universe. The expansion is planned for release on September 15, 2015.